Help for Your Anxious Child. Replacing Worried Thoughts with Coping Thoughts. The emotion that a child feels when he or she worried is real, but most anxiety is based on something that only might happen. Most worried thoughts begin with the words “what if?” If your child struggles with anxiety, it is important for him or her to know that she doesn’t have to let the worries win. He or she can overcome the anxiety by replacing a worried thought with a coping thought. What if I feel embarrassed? I’ll ask for help if I need it. It’s always OK to ask for help. What if I’m in class and I don’t know anybody? I will try to say hello to just one person. If that doesn’t work, I will try another person. What if kids bully me or act in a mean way? I’ll just say “what ev” if someone is bothering me or someone is not being nice. I like fireworks but what if it’s loud? I will remember a time when I was scared but I could power through it. I can bring ear protectors just in case. I’m going to a new school this fall. What if I don’t make any friends? I can decide to be friendly and bring new friends into my life. I will focus on making friends instead of on my worry. What if I don’t know what to do next and feel too shy to ask? I can decide to solve my problems. I will stop the worry and to action to ask the question. My dad is late picking me up. I wonder if something happened to him. I will focus on positive thoughts to keep the bad thoughts out of my brain. I hope my project is good enough. I tried to make it perfect but what if it isn’t? I can only try to do my best. I might need a shot when I go to the doctor next time and it will hurt. I will take three deep belly breaths to relax my body, then count to three and the shot will be over just like that! Donna Shea, Founder of the Peter Pan Center for Social and Emotional Growth and Nadine Briggs, Director of Simply Social Kids are authors of the How to Make and Keep Friends book and workbook series. Briggs and Shea specialize in coaching and creating simple tips and language for kids with social and emotional learning challenges. 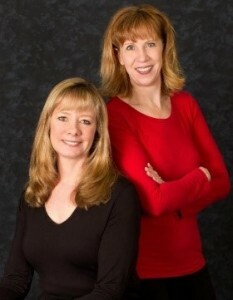 Connect with Briggs and Shea on www.howtomakeandkeepfriends.com, Twitter, and Facebook. The physical world is temporary and transient. It is ever changing. What is true and constant and utterly reliable is that God is ever-present. And our connection with that Source remains even when the physical fades away.